Get great discounts with our unique Lanzarote guide and visit the best places on Lanzarote. Restaurants, leisure, excursions, sport and much more. 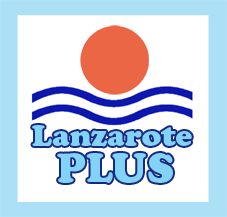 With the innovative Lanzarote Plus book you will receive attractive discounts and gifts from all the companies presented in our book and website. Already while planning your holiday you can save good money. Take your time to check everything on offer totally for free on this website to know everything about all the advantages of our product. For only 9.90 € you can have a very exclusive holiday experience. Get to know Lanzarote from its best side and be an exclusive client with your Lanzarote Plus book. A complete list of all your advantages you will find in the upper orange navigation, divided into groups or a quick overview under HOME - all offers. The exclusive book with guaranteed discounts can be bought for only 9,90 right here. You will receive your book by postal service in a place of 5 to 7 days. Read the general conditions of Lanzarote Plus. 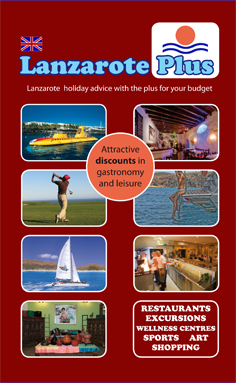 Buy your Lanzarote Plus book now for only 9,90 € using the internationally tradesite amazon.